This is one of the most popular resorts of Italy, a beautiful old city full of attractions and hospitality. Fascinating tours to the remarkable places remain among the most popular entertainments for tourists. Santa Maria Assunta Cathedral is considered the symbol of the city. The construction of the church started in 1092. Its facade is decorated with elegant marble, and inner rooms are decorated with frescoes. In the cathedral you will find several sculptures of angels, which are nowadays considered museum rarities. Another significant building is the ducal palace named Palazzo della Pilotta. At first glance the palace looks like a typical medieval building, but if you get inside, you'll be amazed by the large number of crossed corridors and stairs. The palace is still decorated with fine furniture and sculptures, so visitors will definitely have things to see that during the excursion. In addition to sightseeing you should definitely visit the local restaurants. Traditional Italian dishes are served in Al Tramezzino, while the best seafood dishes will be found in Cantinetta. The lovers of Mexican cuisine should move their feet to Cinco de Mayo. 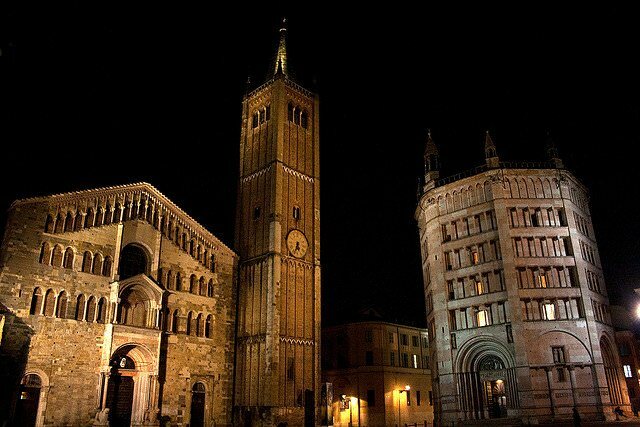 In the heart of the city, near the Cathedral square, is the Parma Baptistery. This architectural monument is strikingly different from other city buildings. It is an unusual octagonal building with a beautiful marble of delicate pink color on the outside. The exterior of the building miraculously combines features of Gothic and Romanesque styles. Over the years, the building has managed to preserve its original portals and other elements of the decor. Not far from the square is another interesting religious monument - the Monastery of St. John the Theologian. The ancient monastery was founded in the 10th century on the site of the former oratorio. Today, on the territory of the abbey you can see a historic church, as well as an old pharmacy where monks used to sell medicinal herbs grown in the monastery's garden. Within the walls of the ancient abbey is a unique art treasure - wonderful murals perfectly preserved to our days. In the heart of Parma's historic district is the Palotta Palace that resembles a strict medieval fortress with its outlines. This huge palace was built for the representatives of the Farnese dynasty. Despite the enormous wealth of the dynasty, the large-scale building was never completed, and the palace had been used as a residence for just a few years. For hundreds of years, the huge halls of the palace had been used as ancillary facilities, and now it houses several interesting museums. Here you will find the National Gallery with a rich collection of paintings, an old library, and the Archaeological Museum. Parma has a lot of unusual cultural facilities, and the Parmesan Cheese Museum is a great example. This museum housed in an old cheese factory keeps hundreds of unique exhibits. Here you can see ancient utensils and other unusual devices that were used by cheese makers hundreds of years ago. Old scales, on which cheeseheads were weighed, as well as unusual cutting devices, are of particular value. Parmesan is one of the hardest cheeses, so its cutting has always been a special kind of art. A tour of the museum is always complemented by tasting the best varieties of local cheese. 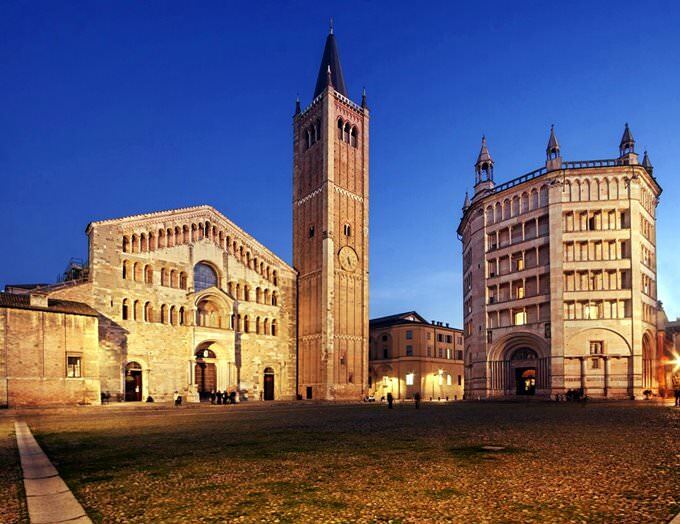 This guide to iconic landmarks and sights of Parma is protected by the copyright law. You can re-publish this content with mandatory attribution: direct and active hyperlink to www.orangesmile.com. 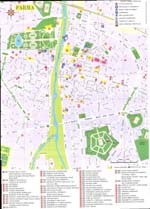 Check on the map: Distance from Parma center - 53.8 km. 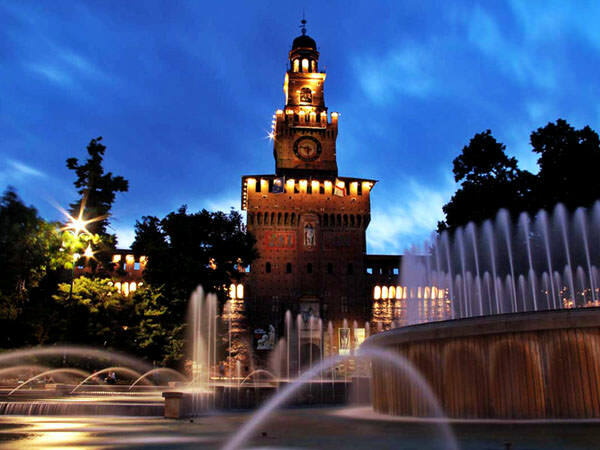 All about Parma, Italy - sightseeings, attractions, touristic spots, architecture, history, culture and cuisine. 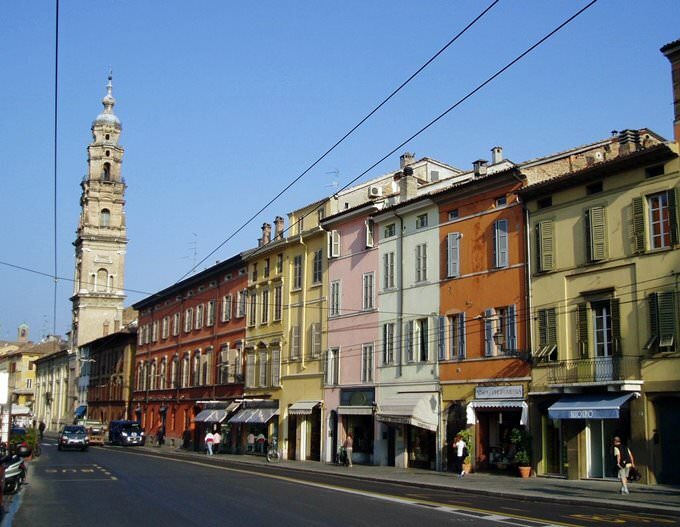 Prepare your trip together with OrangeSmile.com - find out the 'must see' things in Parma, which places to visit, which excursions to take, where the breathtaking views are waiting for you. 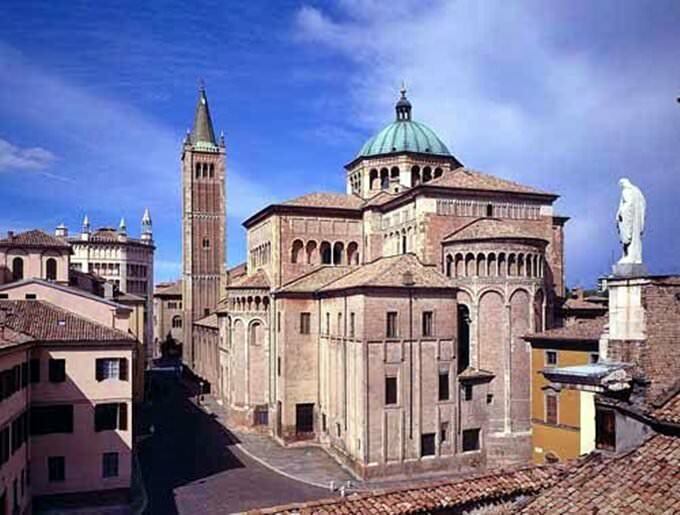 Planning your trip with this travel guide will help your to get the most out of Parma in few days.